Automatic calculation of lot size based on the StopLoss level: it calculates the lot with consideration of the risk percentage. Enter the deposit percentage and set the line to the planned StopLoss level. The lot size for the entry will be output as a result. The TakeProfit will also be calculated with taking into account the profit/loss ratio, and their profit/loss in the deposit currency. 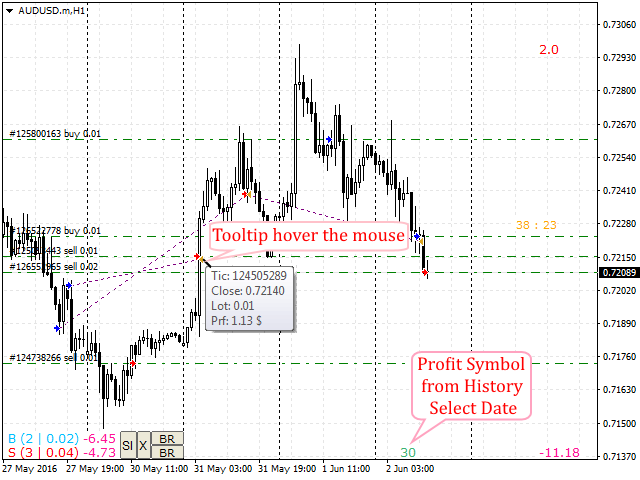 Thus, the end result of the trade can be seen immediately, which is an integral part of successful trading. The indicator displays the number of positions, the total volume and profit of all Buy and Sell deals, it is informative when trading with locks. It shows the total profit of all positions on the symbol. Displays the spread in real time. 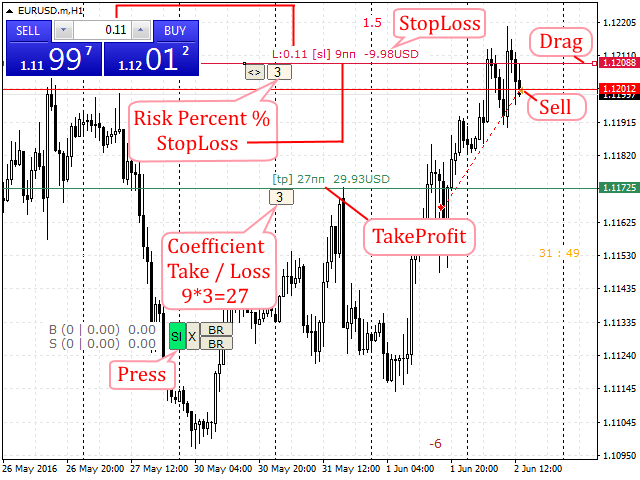 Displays the profit on the symbol for the selected period (date) with consideration of Magic, it is possible to analyze the robot trading and manual trading separately. Time till the end of the bar. 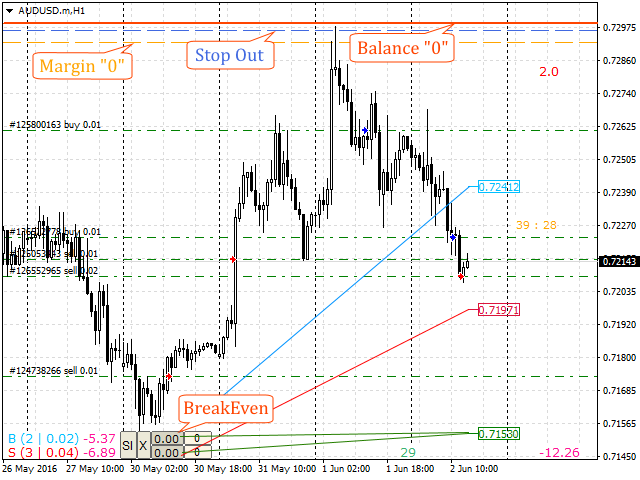 Calculates the breakeven point. It is possible to add a virtual position with the specified deposit percentage to bring the breakeven point closer. 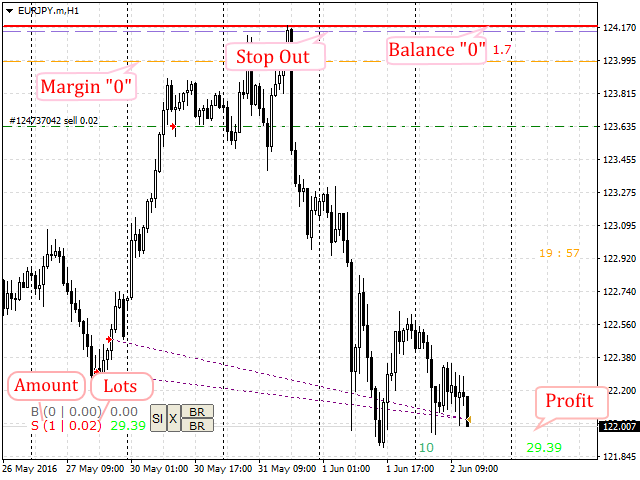 It shows the levels of free margin, forced position closure (StopOut) and the zero equity level. 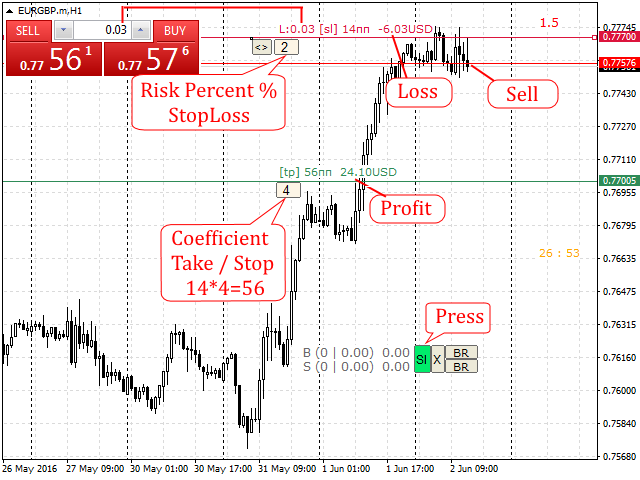 Displays the summarized open positions on the entire account and their profit, button "X". All icons can be dragged to any location on the chart.